Transform AMR to WMA audio files online and without registration! Use a AMR to WMA Online Converter or buy a batch Tool and save time! Description The AMR format uses a speech coding pattern, which is now applied in the GSM system. It encodes compressed spoken audio data and uses multi-rate codecs, such as DTX, ACELP, CNG and VAD. There are eight bitrate values for AMR, ranging from 4.75 kb/s to 12.2 kb/s. This structure allows the codecs to create a group of 160 twenty-millisecond-long samples within a frame. AMR files can be played in a number of Windows-based media players, as well as mobile devices, such as Android, Apple, etc. 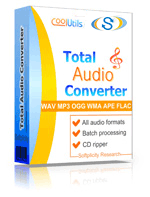 Most users prefer to convert AMR tracks to MP3, WMA, etc. tracks.